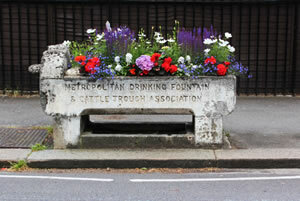 Chiswick Protection Group - A federation of local residents' associations and heritage groups. Chairman - Rosemary Angel. Secretary - Peter Eversden 020 8747 3281. West Chiswick & Gunnersbury Society Aim: Representing those people residing in West Chiswick & Gunnersbury. To promote and campaign for the best social and welfare provision for those who reside in the area, with the aim of developing and providing a sustainable community. To promote the conservation of the area. Membership is open to all residents of Grove Park and Strand On The Green. Membership: £5 per person per year. Email: membership@groveparkgroup.co.uk or send your subscription (cheques payable to The Grove Park group) to: The Grove Park Group, P.O. Box 36534, London W4 3XE, enclosing name, address and email address. The Bedford Park Society protects the amenities of the earliest garden suburb, Bedford Park. It has been instrumental in protecting the work of Shaw, Godwin, Wilson, May and others following its foundation in 1963. The Society is not a resident’s association but is nevertheless keenly interested in community matters affecting the amenities of the suburb. Friends of Chiswick House - are doing a huge amount behind the scenes to try and stop vandalism and graffiti. To join please contact the Membership Secretary on email at: secretary@chfriends.org.uk or address to: CHF Membership Secretary, 19 Upham Park Road, W4 1PQ. Please let us know if there is any active group that has not been included on this page.